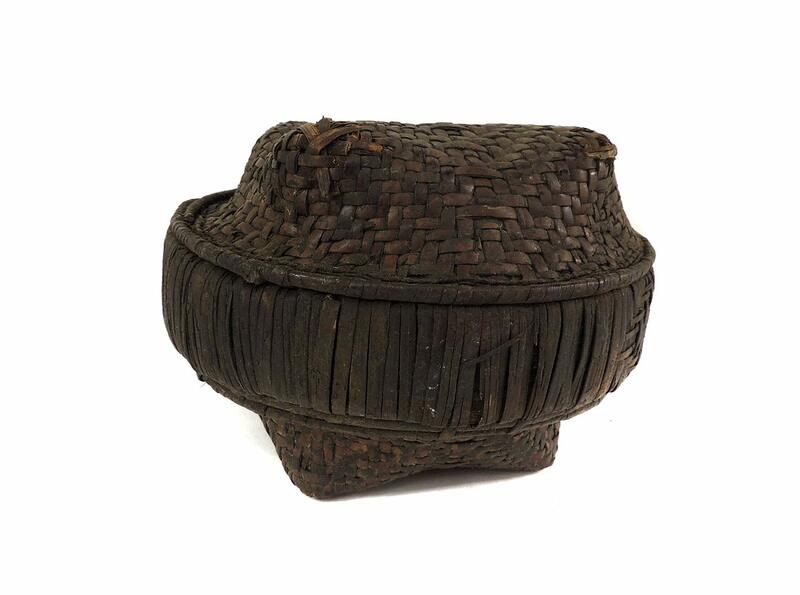 Additional Information: The Kuba are known for their exquisite raffia textiles, but basketry is another area where they excel. Many baskets include elaborate enterplays of circle and square, where the basket will begin with one and end up with the other. 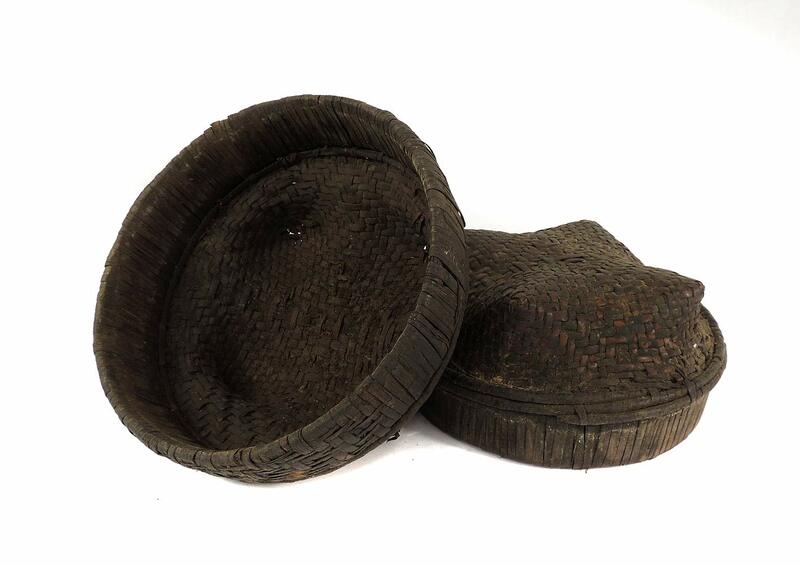 Such baskets were used to store foodstuff, to keep food fresh or warm, and also to serve meals. 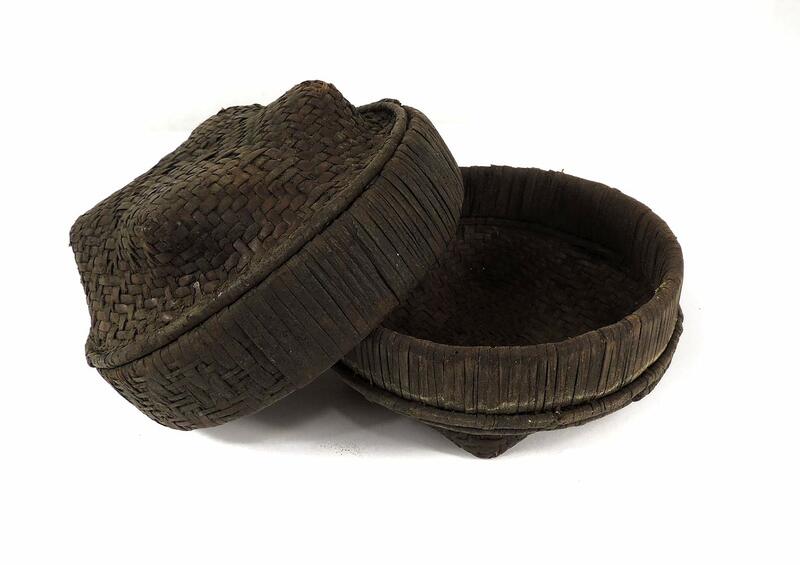 They were also used to store valuable and cosmetic items.